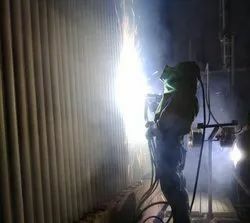 Our range of services include thermal spray coating on boiler tube, tungsten carbide cobalt coating on boiler tube, hard facing coating on boiler tube, anti-corrosion coating on boiler tube, high velocity arc spray coating on boiler tube and boiler tube coating by arc spray system. Metatech Thermal Spray Pvt. Ltd. is one of the Largest companies in the field of Boiler Tube Coating in India. Boiler Tube Coating is done by two processes 1) HVOF System, 2) Twin Wire Arc Spray System. 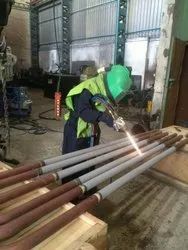 Boiler Tube Coating by HVOF system provides hard coating over base metal. Boiler Tube Coating by HVOF system is done by metal powder. Boiler Tube Coating by HVOF system has a porosity 1-2 %. Boiler Tube Coating by HVOF system has excellent bond strength of 10000 psi. Boiler Tube Coating by HVOF system increases the life of boiler tube to 1-2 years. Boiler Tube Coating by HVOF system reduces the shutdown which is saves time, money etc. Metatech Thermal Spray Pvt. Ltd. is one of the Largest companies in the field of Boiler Tube Coating in India. Boiler Tube Coating is done by two processes 1) HVOF System, 2) Twin Wire Arc Spray System. 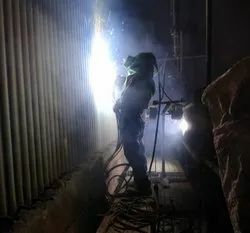 Boiler Tube Coating by Twin Wire Arc Spray system provides hard coating over base metal. 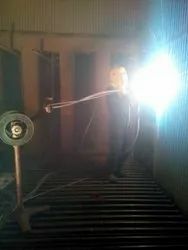 Boiler Tube Coating by Twin Wire Arc Spray system is done by metal wire.Boiler Tube Coating by Twin Wire Arc Spray system is done by different material like Chrome Carbide Nickel Chrome, Tungsten Carbide etc. Boiler Tube Coating by Twin Wire Arc Spray system has a porosity less than 5 %. 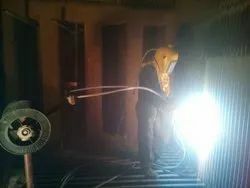 Boiler Tube Coating by Twin Wire Arc Spray system has excellent bond strength of 3000 psi. 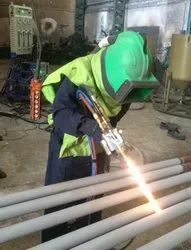 Boiler Tube Coating by Twin Wire Arc Spray system increases the life of boiler tube to 1-2 years. 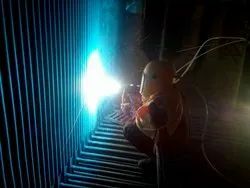 Boiler Tube Coating by Twin Wire Arc Spray system reduces the shutdown which is saves time, money etc. Metatech Thermal Spray Pvt. Ltd. is a reknowned company in the field of Boiler Tube Coating all over India. 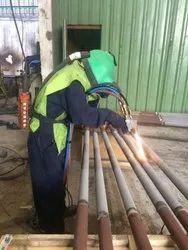 We offer Boiler Tube Coating with Spray and Fuse Method. This coating provides very good adhesion and low porosity. Coating is very hard so it provides high erosion resistance against the abrasive particals inside Boiler. Metatech Thermal Spray Pvt. Ltd. is one of the Largest companies in the field of Boiler Tube Coating in India. Boiler Tube Coating is done by two processes 1) HVOF System, 2) Twin Wire Arc Spray System. 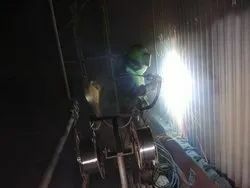 Boiler Tube Coating by Twin Wire Arc Spray system provides hard coating over base metal. Metatech Thermal Spray Pvt. Ltd. is one of the Largest companies in the field of Boiler Tube Coating in India. Boiler Tube Coating is done by two processes 1) HVOF System, 2) Twin Wire Arc Spray System. Boiler Tube Coating by HVOF system provides hard coating over base metal. Boiler Tube Coating by HVOF system is done by metal powder. Boiler Tube Coating by HVOF system has a porosity 1-2 %. 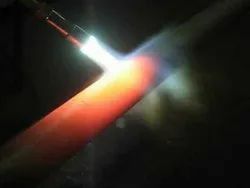 Boiler Tube Coating by HVOF system has excellent bond strength of 10000 psi. Metatech Thermal Spray Pvt. Ltd. is one of the Largest companies in the field of Boiler Tube Coating in India. Boiler Tube Coating is done by two processes 1) HVOF System, 2) Twin Wire Arc Spray System. 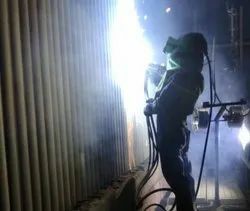 Boiler Tube Coating by Twin Wire Arc Spray system provides hard coating over base metal. 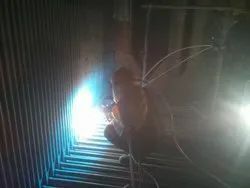 Boiler Tube Coating by Twin Wire Arc Spray system is done by metal wire.Boiler Tube Coating by Twin Wire Arc Spray system is done by different material like Chrome Carbide Nickel Chrome, Tungsten Carbide etc. Boiler Tube Coating by Twin Wire Arc Spray system has a porosity less than 5 %. 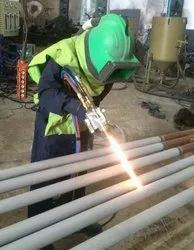 Boiler Tube Coating by Twin Wire Arc Spray system has excellent bond strength of 3000 psi.